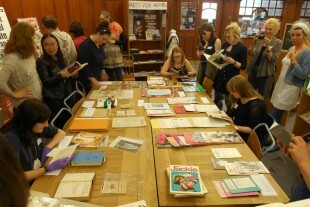 Glasgow Women’s Library is no ordinary library. It is a national treasure and the only place of its kind in Scotland. 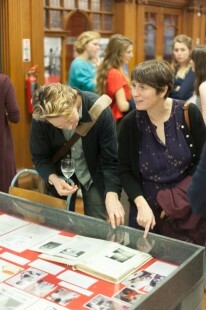 A place for borrowing, browsing and being inspired, it is welcoming, free and open to all. Knowing that you can change someone’s life for the better is a powerful thing. 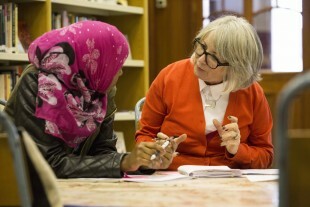 At Glasgow Women’s Library we have been supporting women from all walks of life across Scotland through our life-changing work since 1991. With many learning programmes, and projects focussing on Adult Literacy and Volunteer Development, we have helped women to stretch themselves, try new things and achieve far more than they ever imagined. We play a vital role in collecting, conserving and making accessible an otherwise neglected area of our nation’s heritage. As an Accredited Museum, our artefacts, archive and library collections form a wonderful treasure trove to celebrate the lives, histories and achievements of women and are visited by people from all over the world. From the local communities of Bridgeton to international visitors from Brisbane, we offer something for everyone. As a Friend, and from as little as £2 per month, you can ensure that our work continues now and for future generations, and develops in new directions. Friends offer vital support to the organisation. They tell us that they take pleasure and pride in their contributions, and love meeting such diverse groups at GWL. Be a part of the remarkable GWL success story. Be our Friend. 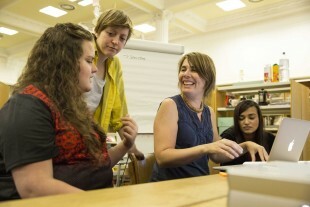 If you would like to gift a GWL Friendship, please get in touch by emailing info@womenslibrary.org.uk or call us on 0141 550 2267. 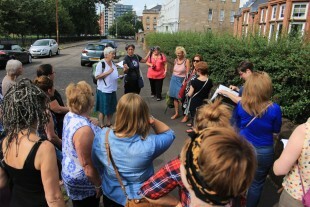 You can use the form below to become a Friend or download a GWL Friends form and send the completed form back to: Glasgow Women’s Library, 23 Landressy Street, Glasgow, G40 1BP. If you are a UK Income Tax payer, we can claim Gift Aid on your donation. This means that for every pound you donate, we can claim an extra 25p from the Inland Revenue. *Because this is a recurring subscription, Paypal asks you to use a Paypal account. If you do not have a Paypal account and do not wish to set one up, you can download the form below to set up a Direct Debit payment instead. Contact the Library for other ways to become a Friend (for example, if you would like to pay a one-off yearly fee). Due to Paypal fees, we’re not able to process the lower rate of £2 per month online – however, you can set up a Direct Debit using the downloadable form below. The Direct Debit form also allows you to choose any amount you would like to contribute per month. Send the completed form back to: Glasgow Women’s Library, 23 Landressy Street, Glasgow, G40 1BP. If you have difficulty accessing or printing the form, please contact the Library and we can send a form out to you. Friends’ details are protected by the Library’s Data Protection Policy.